Based on model year EPA mileage ratings. Use for comparison purposes only. Your actual mileage will vary depending on how you drive and maintain your vehicle and maintain your vehicle, driving conditions, battery package/condition (hybrid models only) and other factors. Vehicle pricing includes all factory incentives and listed rebates. Tax, Title, Registration, and $995.00 dealer fee not included in vehicle price shown and must be paid by the purchaser. Dealer installed accessories may increase actual cost of vehicle. You must finance through Chrysler Capital to receive bonus cash. 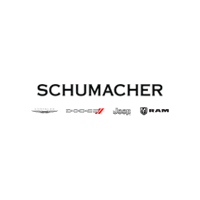 While great effort is made to ensure the accuracy of the information on this site Schumacher Auto Group is not responsible for pricing, or typographical errors. Please call us for details at (844) 568-6892 or by visiting us at the dealership. **With approved credit. Terms may vary. Monthly payments are only estimates derived from the vehicle price with a 72 month term, 2.9% interest and 20% down payment. While we make every effort to ensure the data listed here is correct, there may be instances where some of the factory rebates, incentives, options or vehicle features may be listed incorrectly as we get data from multiple data sources. PLEASE MAKE SURE to confirm the details of this vehicle (such as what factory rebates you may or may not qualify for) with the dealer to ensure its accuracy. The dealer cannot be held liable for data that is listed incorrectly.